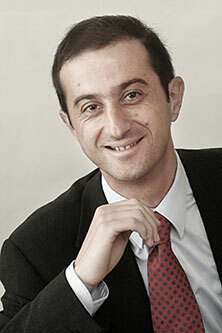 Igor Filatotchev is Professor of Corporate Governance and Strategy in City's Cass Business School. His research interests focus on the effects of corporate governance on entrepreneurship development, strategic decisions and organisational change - a fast growing area in the management and economics literature. He is currently undertaking research into the analysis of resource and strategy roles of corporate governance, corporate governance life-cycle and a knowledge-based view on governance development in entrepreneurial firms and IPOs (companies that are in the process of being listed on the stock exchange). These projects are supported by research grants from various national and international donors, including the UK Economic and Social Research Council, the UK Department of Trade and Industry, the Leverhulme Trust, the Institute of Chartered Accountants of England and Wales, and the European Commission. Corporate governance can be broadly defined as a set of principles, policies and institutions that regulate the way a company is directed and controlled. It is also concerned with the nature and extent of accountability of the individuals leading an organisation to its various stakeholders. The 1992 Cadbury Report includes a Code of Best Practice for companies, which is built around the principles of accountability, probity and transparency. These principles, along with the concept of equity, became the benchmark for good corporate governance. Professor Filatotchev's research suggests a multi-disciplinary, holistic view of corporate governance. His main argument for a more contextualised approach to corporate governance has strong implications for public policy. In the light of corporate governance scandals and perceived advantages in reforming governance systems, debates have emerged over the appropriateness of different policy approaches based on hard law or regulation that draws upon soft law, such as codes based around 'comply or explain' principles, which mean that grounds must be given for possible deviation from their provisions. The hard law approach to regulation, such as the US Sarbanes-Oxley Act of 2002, also known as the 'Public Company Accounting Reform and Investor Protection Act', seeks to strengthen corporate governance through legal rules that cover all companies operating in a particular jurisdiction. Such an approach mandates high minimum standards and failure to meet these results in severe legal penalties. Soft law, such as the UK Corporate Governance Code (formerly the Combined Code), requires listed companies to report on how they have applied the main principles of a Code, and either to confirm that they have complied with the Code's provisions or - where they have not - to provide an explanation. This approach has been criticised for its weaker degree of enforcement and inability to mandate uniform minimum standards. The jury is still out on the two approaches; however, Professor Filatotchev suggests that the trade-offs involved can be better understood by analysing the implementation of policy in terms of costs, contingencies and complementarities of corporate governance. For example, Sarbanes- Oxley has been criticised as being too rigid and imposing excessively high costs, whereas the UK codes have needed to be strengthened by greater legislative underpinnings to assure enforcement. "The more ingrained the system of corporate governance in a business community, the less is the need for detailed regulation to ensure effective compliance with good standards of business behaviour." The fact that the UK approach is arguably the less universalistic and more contextualised may also help explain why, as other countries look to the US and UK as early pioneers in the field, they have adopted some aspects of the US approach but on the whole have tended more to follow the UK Codes approach. 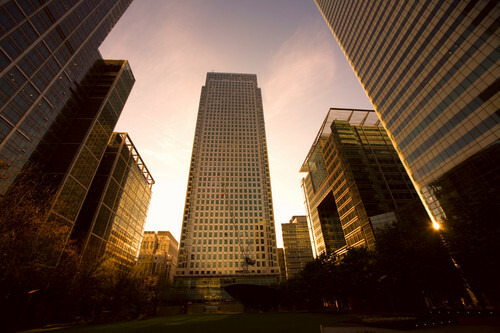 This may also be evidenced in the present tendency for a growing number of firms to prefer to trade their stocks in London rather than on the New York Stock Exchange. Professor Filatotchev has published extensively in the fields of corporate governance and strategy in leading academic journals such as Academy of Management Journal, Strategic Management Journal, Journal of International Business Studies, Journal of Management, Organization Science, California Management Review, Journal of Business Venturing and Journal of Management Studies. He has edited a book, Corporate Governance and the Business Life-cycle (2010. Edward Elgar). He currently serves as an Associate Editor of Corporate Governance: International Review and Journal of Management and Governance. A Cass academic has shown that economic theory can be a valuable tool in predicting exchange rate movements. Raked by online business education magazine Poets & Quantz as one of the Best 40 Business School Professors under 40, Lucio Sarno is Professor of Finance and Head of the Faculty of Finance at Cass Business School. An expert in exchange rates, a subject on which he writes prolifically, Professor Sarno is routinely called for advice by governments, international organisations (including the US Federal Reserve, the European Central Bank and International Monetary Fund) and financial companies around the world. His writings and advice have influenced several matters of policy, including the operating procedures of central banks in the foreign exchange market, the design of exchange rate policies, he prediction of currency fluctuations and currency crises, the use of capital controls, the management of public debt and the assessment of currency risk. Professor Sarno's groundbreaking research has overturned the view that economic theory is of little use in predicting exchange rate movements. He has documented how the evolution of currencies can be understood in terms of very simple economic intuitions, thereby helping governments and individuals to an improved understanding of changes in the purchasing power of their currencies and the measures needed to hedge against currency risk. His recent research supports the proposition that if a country runs a persistent deficit then its currency will depreciate, thus improving its competitiveness in selling its good and services abroad and so ultimately bringing it back into surplus.